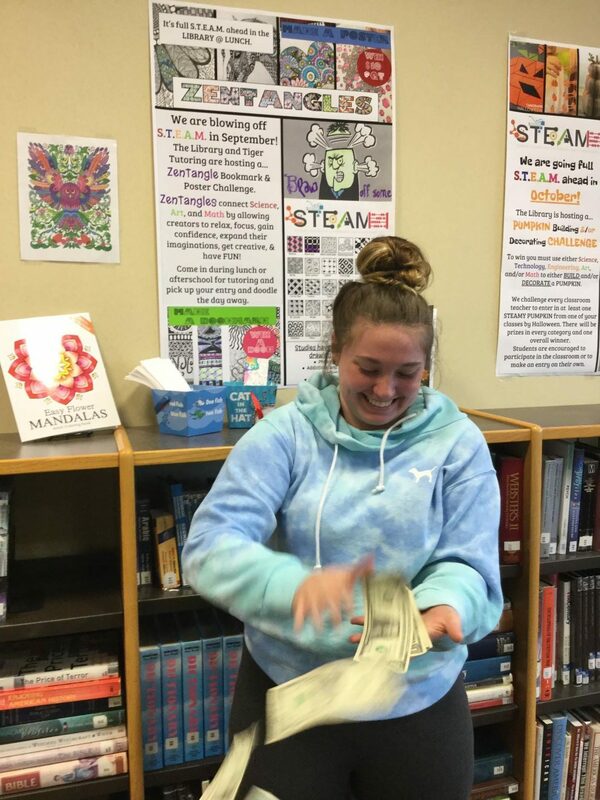 Junior, Stormi Ward throwing her cash prize for winning Septembers theme; zentangle designing. Have you seen those STEAM posters around school? Those monthly contests… Ever wondered what they were about? The posters are for programs run by librarian, Mrs. Cassidy and English teacher, Ms. Barfield. It’s all about getting students to participate in critical thinking by hosting monthly contests. 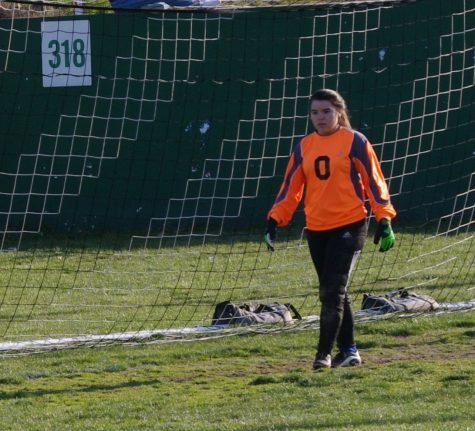 “It isn’t a club or program, it’s more of a philosophy or movement,” Mrs. Cassidy said. Each month there is a different theme that Mrs. Cassidy and Ms. Barfield come up with. For example, November’s theme was knitting. The whole idea was to have a group of students come together and knit scarfs, blankets, or hats. 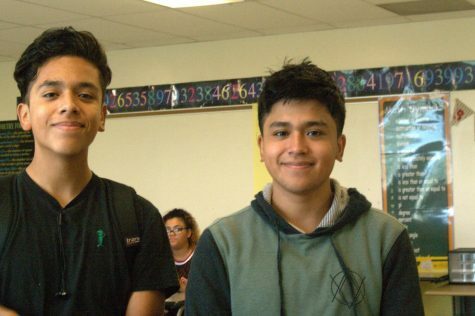 “The contests are just a way to motivate the students to participate,” Mrs. Cassidy explained. Each month varies from how many students participate, anywhere from one to ten. For the students that take part, their work is sorted and the best project wins. Mrs. Cassidy and Ms. Barfield pick the winner. Junior, Stormi Ward won for the month of September, which was designing a zentangle design. She won ten dollars and a zentangle coloring book. 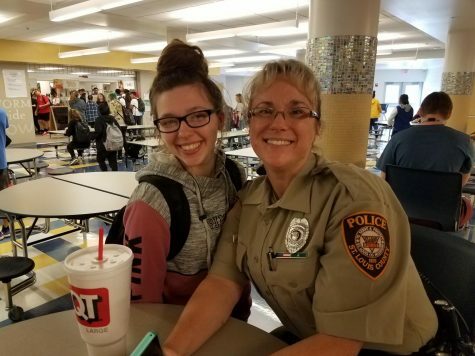 “I only participated because I needed something to do during lunch,” Ward said. This is the first year that HHS has participated in STEAM. Although it has sparked little attention, Mrs. Cassidy and Ms. Barfield plan on promoting it more. “We would love for it to become more popular with many participants. Like a daily habit for students to participate in to recharge, relax and renew their energy for the rest of the day,” Mrs. Cassidy explained. For more information on entering a contest head to the library in the high school and talk to Mrs. Cassidy or look at the arranged posters past Chromeland.